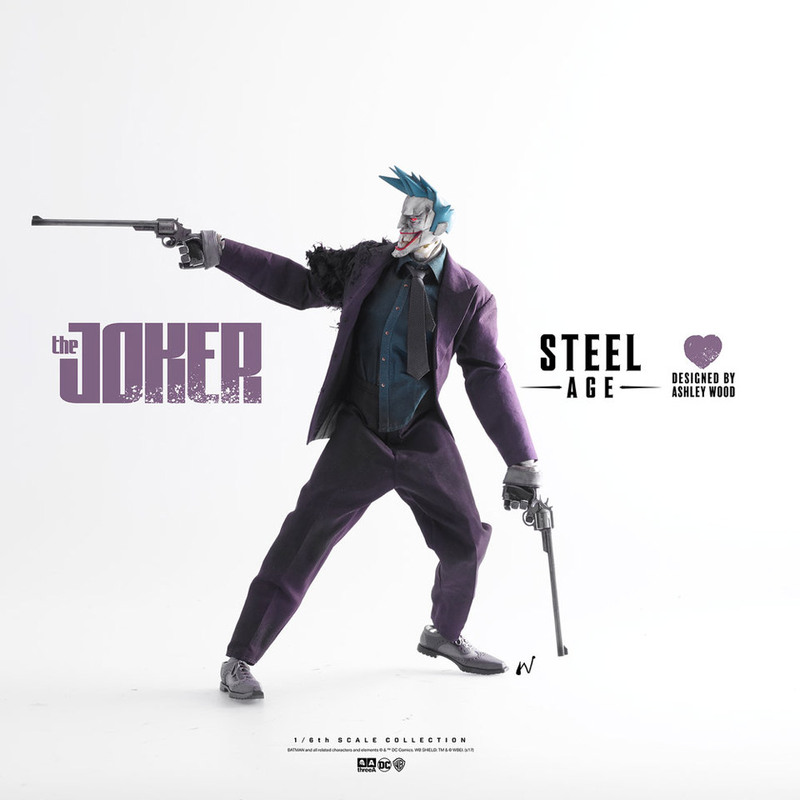 After two versions of Steel Age Batman, Ashley Wood’s Victorian robot series continues with none other than the Joker. 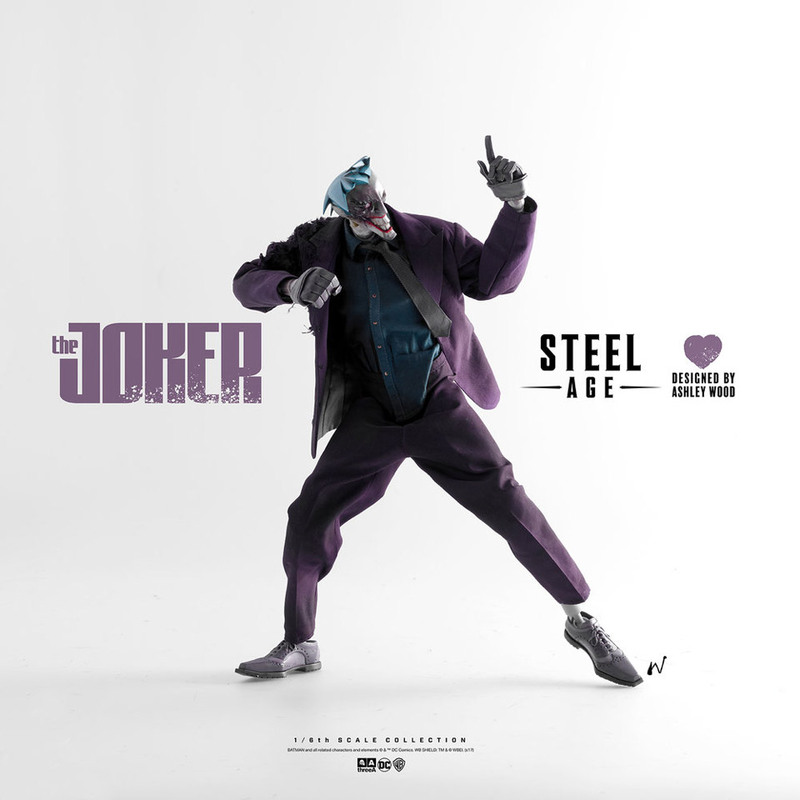 Steel Age Mr. J looks even more robotic than his arch-nemesis. 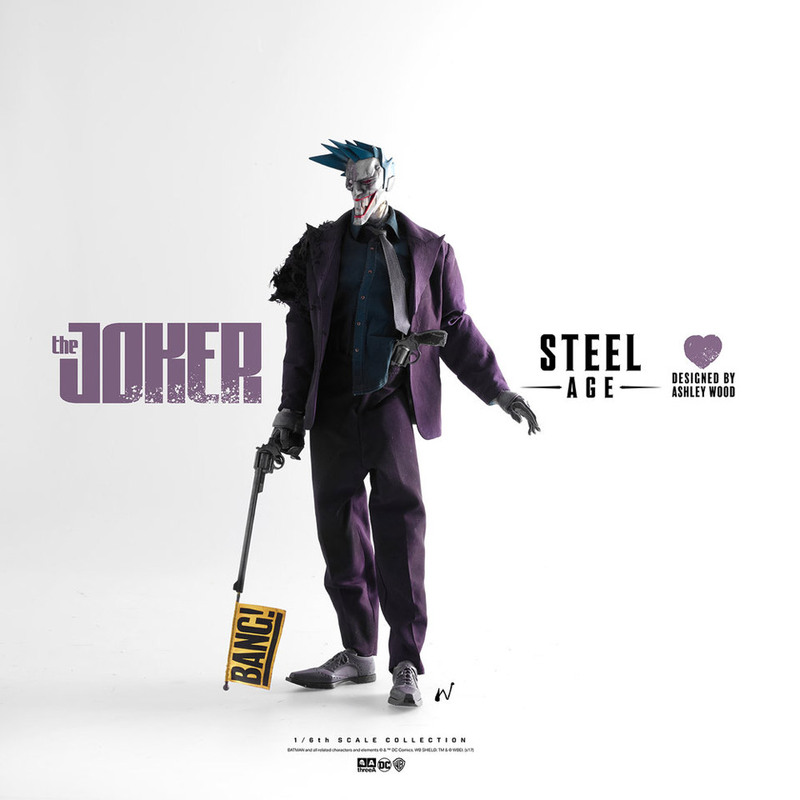 His head is made of large discrete parts, and the upper half of his face is raw steel. 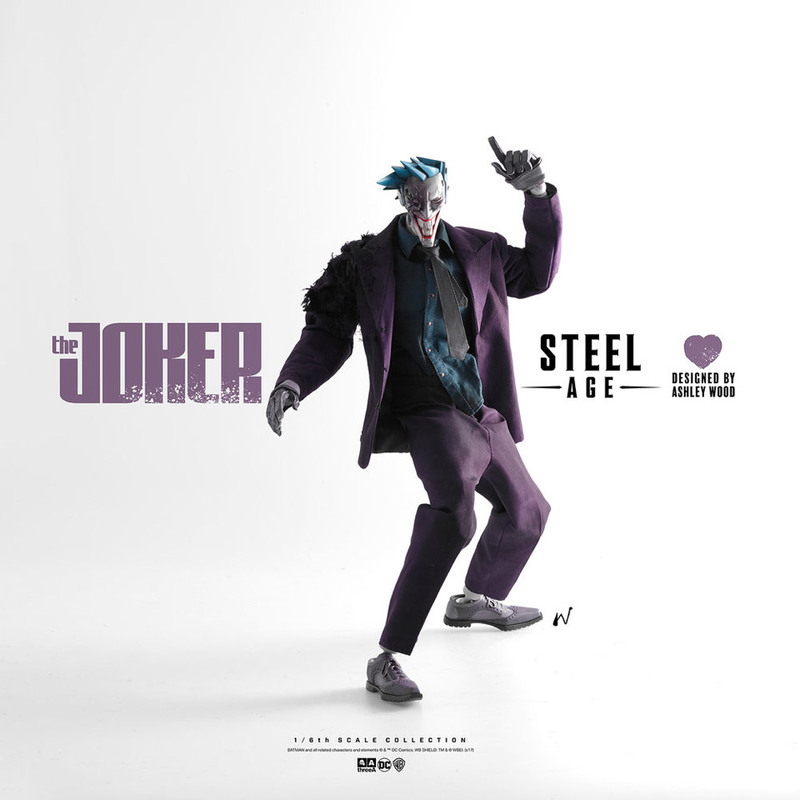 On the other hand, his crazy smile balances all of that out, in contrast to Steel Age Batman’s stoic aura. 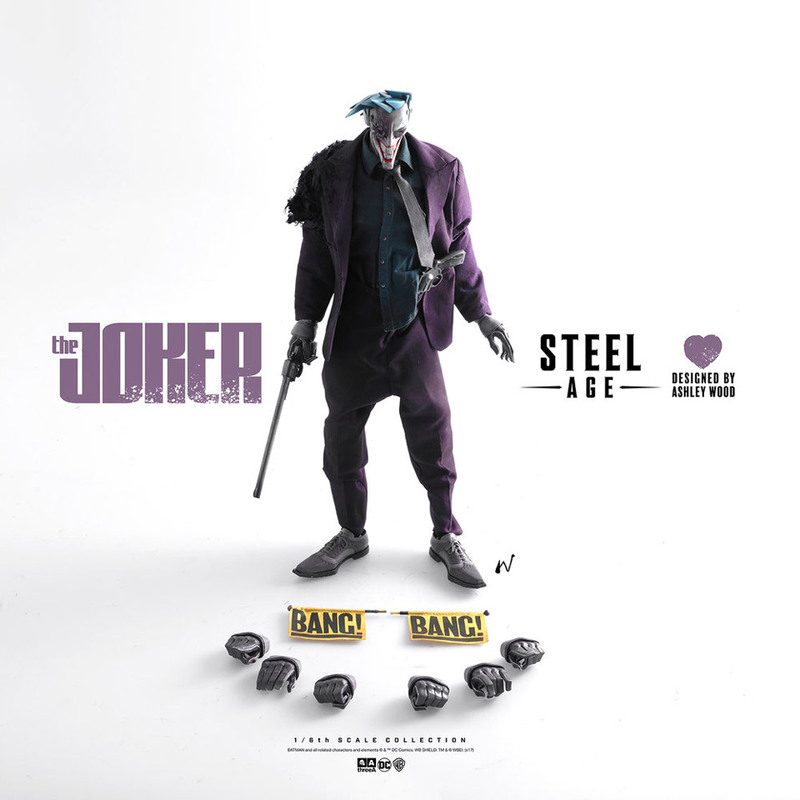 The action figure has light up eyes and comes with a pair of large and long revolvers, detachable “Bang” signs for the revolvers, and four pairs of interchangeable hands. 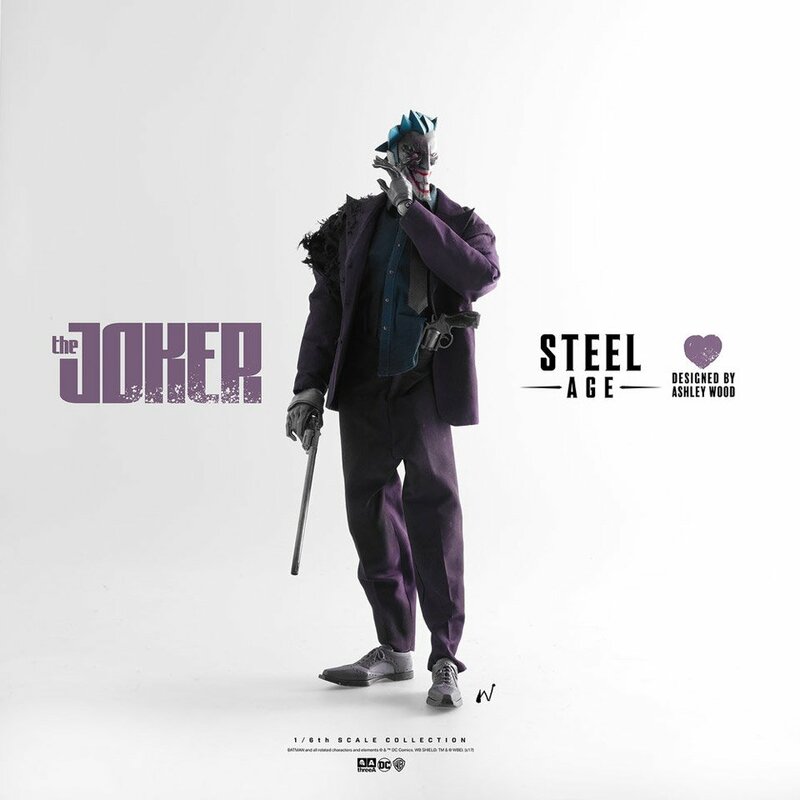 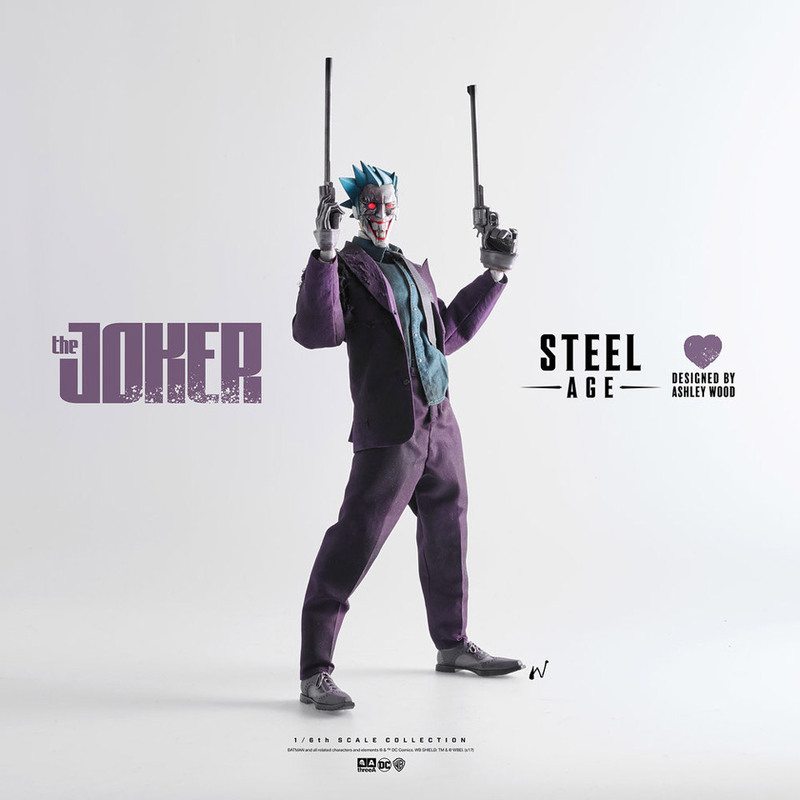 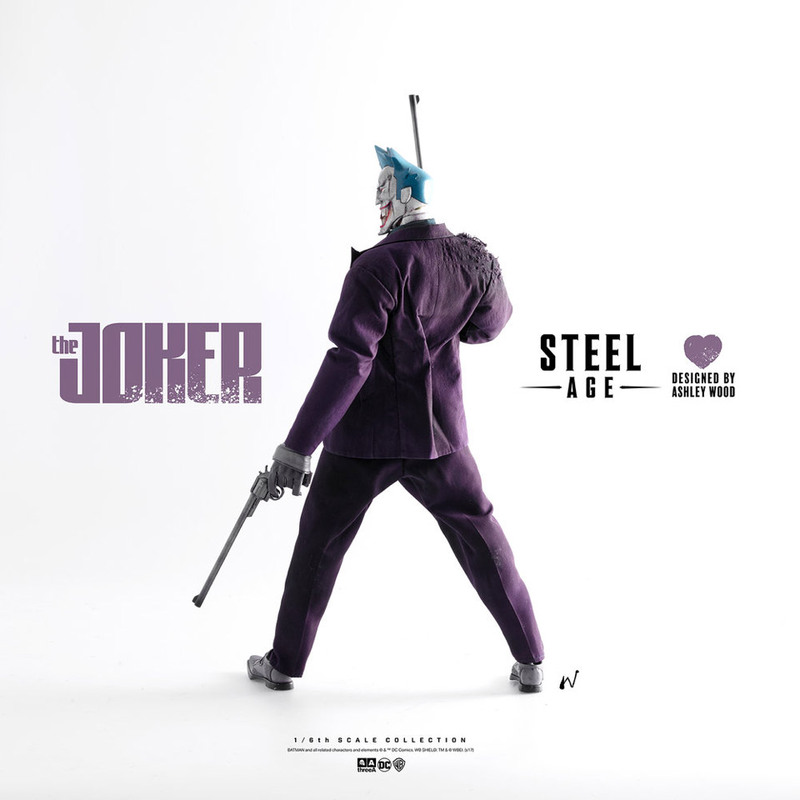 You’ll be able to pre-order the Steel Age Joker action figure from Bambaland starting October 4 for $240 (USD).